Our mission is to bring health, wellness, and improved quality of life to as many individuals as possible so they can live their life without limits. The ultimate goal is to allow individuals to retain a pain free, healthy and active lifestyle. In our clinic, we strive to not only diagnose and correct our patients’ health problems but to educate them so that they may prevent any similar problems in the future. We focus on providing safe and effective care to people of all ages and backgrounds with an emphasis in sports rehabilitation. As doctors, we focus on staying up to date on the latest techniques and therapies. We are here for our patients to provide the highest quality service in the most cost effective and ethical manner. As an athlete Dr. Stephanie Nazemi focuses on educating her patients the importance of maintaining one’s health, by using a philosophy of being proactive to prevent health problems both now and in the future. 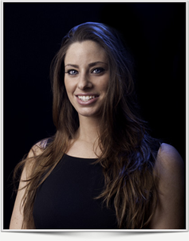 She combines many techniques and rehabilitative exercises to assure her patients receive quality care in order to attain an optimal state of health. 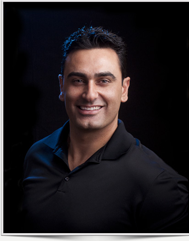 Dr. Nazemi is deeply committed to his patients and clearly has a lucid view of his role of helping people in society. He takes immense pride in his work and always presents himself in a positive and professional manner. The doctor has always sourced tremendous energy from people and sports, and as such, looks forward to directing his efforts towards helping people through Chiropractic.